KYI (Know Your Ingredients) is a brand that continues to impress me. The company makes high performance products with clean, simple ingredients that really speak to what I look for in skincare products. I already wrote about how much I've been enjoying the company's Sweet Almond Softening Oil and now I want to talk about the brand's other two products: the Whipped Shea Butter Mask and Argan Oil Serum with Vitamin C. Both are intended for the face but have multiple other uses too, should you feel so inclined. KYI describes this mask as "spackle for your face" and recommends using it as a night mask to minimize lines and keep skin supple. It isn't a mask in the traditional, wash-off sense, but rather a leave-on treatment intended for dry or aging skin or for those times when your skin just needs extra nourishment. Used at night, I'll wash my face and do the rest of my skincare routine (toner, serum, eye cream), before applying the mask in place of my regular moisturizer. It takes some time to fully sink in, but I wake up in the morning with baby soft skin that feels hydrated and healthy. I also like using the mask in the morning if my skin is feeling sensitive or in need of an extra moisture boost. The only difference, here, is that I'll apply the mask, wait about 30 minutes, and then blot off any excess that hasn't absorbed so I can apply makeup and go about the rest of my day. 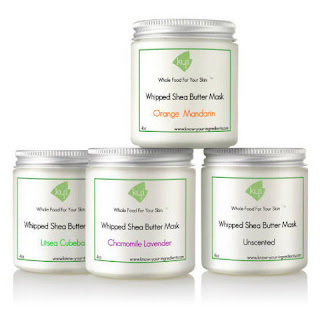 The mask works great both ways, and as an added bonus, it's also awesome used like any other whipped shea butter - either as an all-over body moisturizer or reserved for those extra dry spots. I've been trying out the unscented one, but like the Sweet Almond Softening Oil, there are also three scented versions: chamomile lavender, orange mandarin, and litsea cubeba. 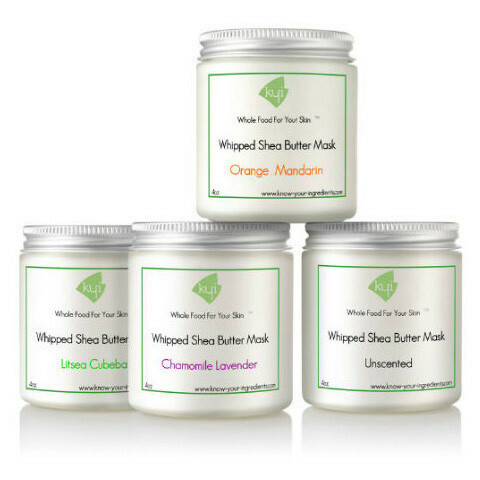 Ingredients: Refined shea butter, jojoba oil. May contain essential oils of orange, mandarin, ginger grass, litsea cubeba, chamomile and/or lavender. Vitamin C is a hot skincare ingredient these days, and it's for good reason. It's a powerful antioxidant that's been shown to improve hyperpigmentation and UV-related damage, while also reducing inflammation and promoting collagen production. Vitamin C is most commonly found in skincare as water-soluble L-ascorbic acid, which although effective, is also unstable when exposed to light, heat, and air. The danger, aside from wasted products, is that you can't always tell when the vitamin C in a given product has started to degrade. Oxidized L-ascorbic acid is not only ineffective, but also potentially harmful, since it can increase the formation of free radicals in the skin. 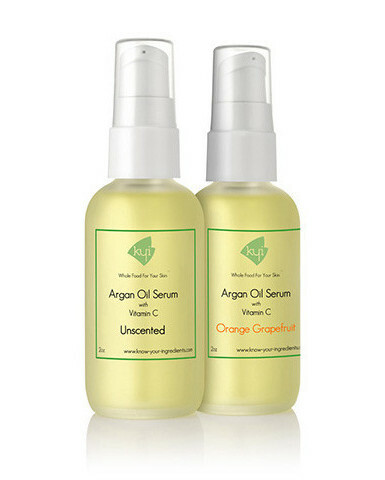 KYI's Argan Oil Serum with Vitamin C circumvents this issue by using tetrahexyldecyl ascorbate, an oil-soluble form of Vitamin C that offers the same benefits, in a much more stable form. Combined with argan oil, which is high in vitamin E and essential fatty acids, these two ingredients create a powerhouse of a serum. 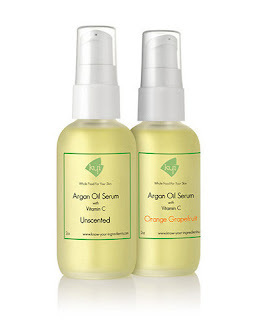 I was previously using plain argan oil on my skin, but I noticed a visible improvement when I switched to KYI's Argan Oil Serum with Vitamin C. Within the first week, my skin looked brighter and more vibrant and after about three weeks of use, it's also noticeably plumper and more supple to the touch. My face also drinks up the serum quicker than it ever did the straight argan oil and I'm left with no oily residue on my skin. It's available in both unscented and orange grapefruit options and is definitely a winner all around! This was the product that first sparked my interest in KYI and if you only try one thing, it's what I would urge you towards. And, lest you think this serum is a single use product, you can also use it on your body and I imagine it would be great as a hair oil too. That said, as much as I love argan oil for my hair and body, I'm saving KYI's gorgeous serum just for my face! Ingredients: Argan oil, tetrahexyldecyl ascorbate. May contain essential oils of orange and grapefruit. Same here. I bet I'll be reaching for the mask even more in the winter! this sounds awesome esp the Vitamin C serum! I guess it evens out :) I feel the same about a lot of the UK brands you talk about!